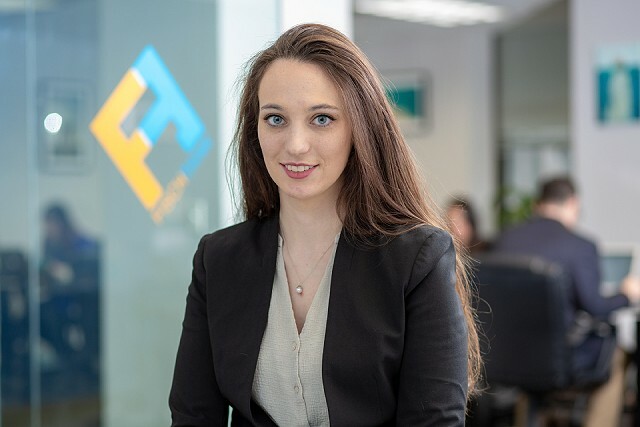 Kate Caruso-Sharpe is an Account Director at FischTank with a background in marketing, PR and sales for the technology, healthcare, energy, cybersecurity and CPG sectors. Kate is a firm believer in the fact that no two client campaigns should look exactly alike and strives to bring the highest level of customization and personalization to every client’s public relations & marketing program. Kate’s work throughout various areas of the concept to market process has fostered experience in creating strategic public relations, communications and marketing campaigns designed to build client awareness, differentiate company messaging from competitors, establish clients as thought leaders within key markets and enable sector expansions for brand portfolios. She has experience in technical content development, sales & marketing material design, executive media training, company funding and IPOs, product & service launches, and advertising planning. Some of Kate’s favorite projects that she’s worked on have included the global rebrand of technology company in the energy sector, the launch of a new environmental protection technology and its portfolio expansion the following year, and the establishment of a new secure network service amid a heightened cyber threat environment. Kate’s work has resulted in clients being featured in CNBC, The International Business Times, Money, Real Simple, Cosmopolitan, AdWeek, Business Insider, The Washington Post, Inc., Fast Company, and Mashable to name a few. Kate earned her Bachelor’s Degree in political science from Hartwick College in Oneonta, NY, with a minor in sociology. Her professional passions include social justice, technology innovations and advancements – particularly in the clean energy and cybersecurity sectors, and learning new ways to incorporate data analytics into campaigns. On a more personal level, Kate is an avid hiker who was born and raised in the foothills of the Adirondacks. She has a habit for rehabilitating injured animals including a blind rabbit, a few dogs, and a guinea pig who believes he is a turtle.